The International Red Cross and Red Crescent Movement was founded in 1863 in Geneva as the International Committee of the Red Cross. It is an international humanitarian movement that strives to protect human life and health. Many countries have their own Red Cross Societies that are part of the movement. For example, the Ukrainian Red Cross Society was founded on April 18, 1918. 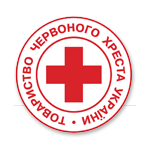 The Ukrainian Red Cross Society was created during the Ukrainian War of Independence as an independent humanitarian society of the Ukrainian People’s Republic. Its main tasks were to help prisoners of war and refugees, take care of orphaned children and handicapped people, fight epidemics and famine. The Society organized and supported hospitals, infirmaries, food kitchens, public baths and laundries, pharmacies, first aid stations. After the creation of the Soviet Union, the Ukrainian Red Cross Society remained part of the Soviet Red Cross Society until 1992, except for a brief period during the Second World War. Since October 28, 1992, the Ukrainian Red Cross Society has been Ukraine’s most important humanitarian and charitable organization. It operates in health and care, disaster management, tracing services, and protection of human dignity. The Ukrainian Red Cross Society Founding Day is celebrated to raise awareness of the Society’s key principles: humanity, impartiality, neutrality, independence, voluntary service, unity, and universality.